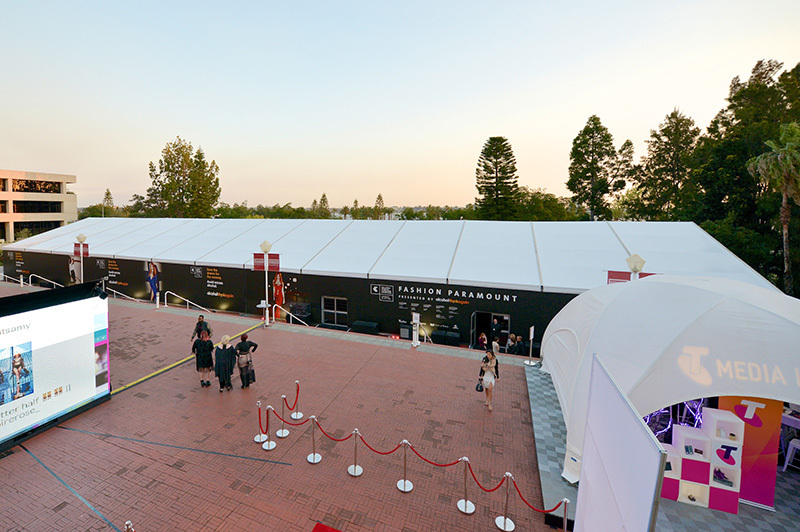 To substantially increase the capacity of Perth Fashion Festival by creating unique, innovative and eye-catching spaces around the city and suburbs of Perth. 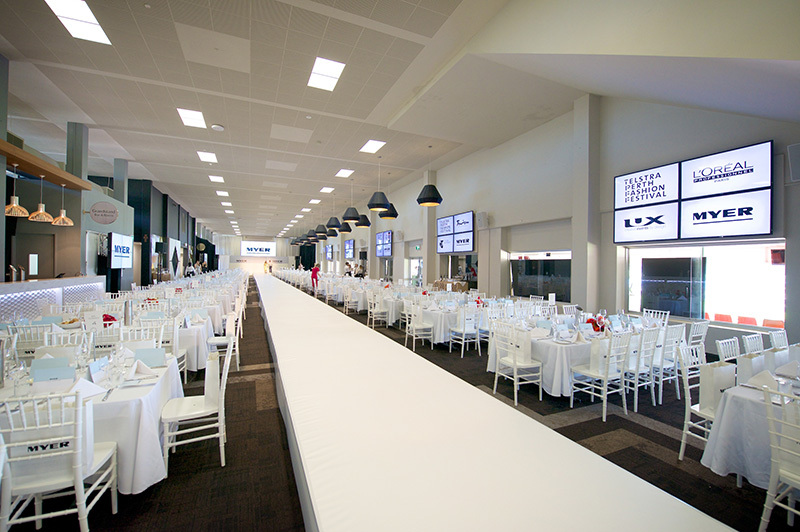 Across multiple venues, including Forrest Chase plaza in the CBD, Ascot Racecourse, the Perth Concert Hall, and the Bather’s Beach House in Fremantle, our goal was to go back to basics and develop simple yet elegant designs. 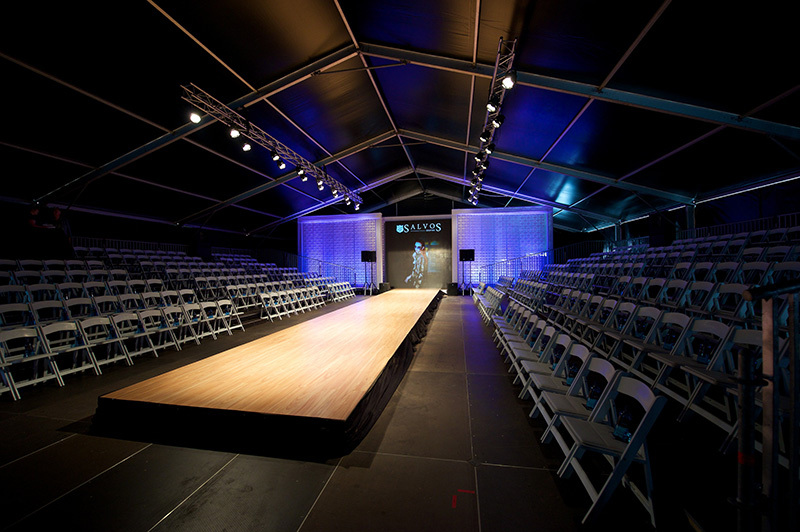 Coupled with flawless technical production, we were able to present a refined yet fashionable brand message across the entire festival. 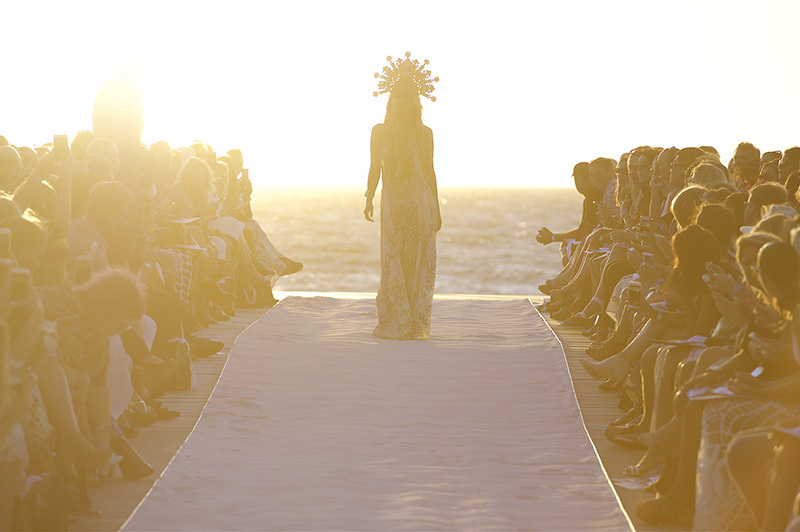 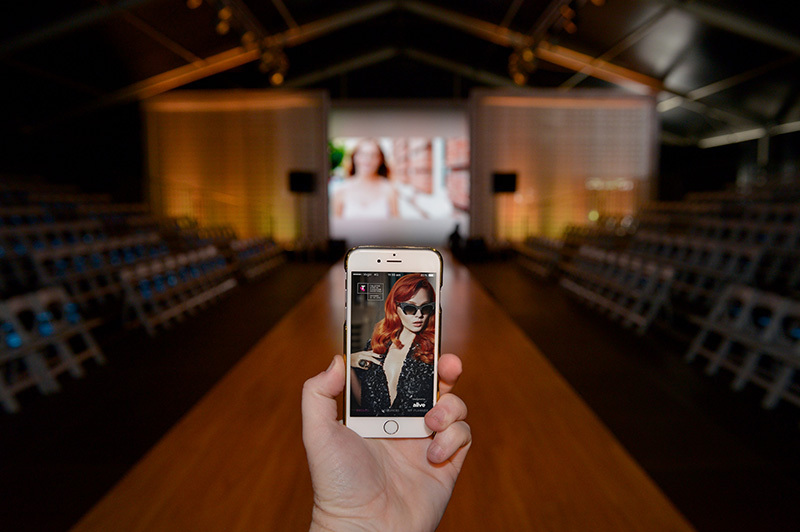 Increased capacity for the public parades, provided amazing hospitality events, and increased brand recognition for the Telstra Perth Fashion Festival across the city.